All in all MyYogaWorks offers a good selection of classes, good overall quality and some nice features to help you reach your goals. It doesn't quiet reach the quality of some of it's competitors like Grokker though. Being a mom is exhausting. There are generally two times of day when I can get my yoga practice in: in the morning before anyone is up or after everyone is in bed. I will freely admit getting up any earlier than I have to isn't going to happen, and there's no way a yoga studio is open by the time my two kids are in bed and the house is semi-clean. Thank heavens for technology and the wonderful world of online yoga classes. I've been making my way through various online yoga subscription sites to find my online yoga soulmate. So far I've reviewed Gaia TV, YogaVibes, YogaGlo, Dirty Yoga and Grokker. The jury is still out, but hopefully this MyYogaWorks review helps you out a little bit. First, MyYogaWorks offers a free 15-day trial so you can test the waters. You have to give them your credit card number, but you can unsubscribe easily at any time before your trial is up if you don't like it. MyYogaWorks is essentially the same as all the other online yoga classes you'll find out there. Of course, there will be small differences such as film quality, the teachers, and the diversity of offerings, but it really comes down to what site is worth your money every month. Yoga Works is a brick and mortar studio that has been around since 1986. Yoga Works has trained some of the industry's best teachers, so they already have a pretty solid reputation in the yoga world. Since Yoga Works has been around for almost 30 years and seen thousands of students, they saw how difficult it was for many of their students to find the time to drive to their studio and attend classes regularly. To make yoga accessible to everyone, regardless of schedule or fitness level, the online classes are five to 60 minutes in length. While you can search for classes based on your skill level, Yoga Works teachers ensure each class is accessible to everyone who practices with them. Subscriptions are very affordable ($15/month) and offer three subscription options: monthly, every six months, and annually. If you're a member of a Yoga Works studio, you get a discount membership for online streaming. As soon as you sign up, the site asks for your goals so you quickly get a list of classes to suit your needs and desires. If you want to practice with well-known yoga teachers, you probably won't know who most of the Yoga Works teachers are. A large number of classes are only two to three minutes in length and serve as quick tutorials instead of full-length classes. You can't search by yoga style because the site doesn't offer a variety of classes. Most classes are vinyasa or Hatha/Ashtanga based. I really loved this "focus" option when I was looking to strengthen, tone, or stretch a certain body part or region. I used to be a runner, and while I still go for a casual 5K here and there, my years of distance running have really taken a toll on my hamstrings. No matter how much I tell them I'd rather do revolved hand-to-big toe than run a sub 20 minute 5K, they refuse to listen to me. Since I'm always on a quest to "fix" my hammies, I started with their hamstrings classes. MyYogaWorks also has plenty of pose-focused classes. If backbends have always been the bane of your practice, the backbend-focused classes are a great way to break down some of the intimidating asanas like upward facing bow/wheel pose or king dancer. Whether you need help with inversions, arm balances, sun salutations, or balancing poses, there are tons of classes to help you focus on your more troublesome areas. I thought the Journey series would be my favorite aspect of the site, but I ended up having a love/hate relationship with them. I have a soft spot for detox/twisting classes. I'm always a hot, sweaty mess after a detox class, and I love how wonderful I feel wringing out all of the stress and junk I have built up inside me. For the Detox series, there is a beginner and an intermediate option. I opted for the intermediate and was given a six-day mini-program. Since Dirty ﻿Yoga has a 28-Day Challenge (for an extra $28), I felt obligated to review My Yoga Works' 28-Day Challenge which is included in the cost of your membership. You're given four weeks of flow classes that vary in length. You'll get heat-building flows, stretching, power classes, and well-rounded flows to target your entire body. I enjoyed this program, but I prefer Dirty Yoga's even if it did cost extra on top of my membership. My biggest problem with MyYogaWorks' challenge is the repetition of so many classes. Dirty Yoga's challenge gave me a new class every day, so I was never bored and I had soreness in new places every day. While I loved the premise series of the Journeys, I didn't like how many classes were repeated. I feel like a site with hundreds of videos shouldn't have to repeat anything for such a short program. Additionally, you can save money with the site's referral system. When you sign up, you get a referral code that gives you 20 percent off your subscription cost when a friend signs up. They also get 20 percent off! My Yoga Works has done a great job keeping up with the constant influx of technology. Your classes are viewable on Android devices, all Apple devices (including Apple Airplay), PCs, and even Kindle devices. I know we're told we shouldn't just focus on the opinion of others, but I don't think that's true when it comes to something we're going to be spending money on. 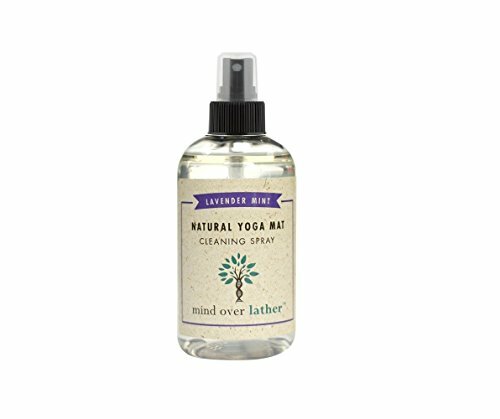 "I think they’re doing an excellent job making yoga easily accessible for everyone, at an appropriate price point." "I have no idea how MyYogaWorks accomplished this from inside my laptop but I felt like I was having a one-on-one session with a master yogi." If MyYogaWorks isn't a good fit for you, there are plenty of alternatives for doing yoga at your own pace. Grokker is an amazing resource if you’re looking to make changes for a better, healthier you. Get answers to your questions on everything from fitness to diet all in one place! With Grokker you can be sure to get the maximum value for your money! At only $14.99/month - dropping to only $9.99 if you opt for the annual membership - you gain access to hundreds of specialized, high-quality videos along with the wealth of supplementary info contained in blogs and forums. If you sign up today, Grokker will let you try out their service for free for two whole weeks! During your free trial you can explore the extensive library of videos, read informative blog posts, and get to know the community Grokker is building. This site isn’t just about fitness videos after all: members are encouraged to get involved in the forums and make friendships along the way. Yogis who like variety would do well to choose YogaVibes. This site has over 5000 classes! That's practically a new class every day for the rest of your life with no repetition. For just $19.95 a month, you get 24/7 access to their extensive library of classes ranging from your Ashtanga primary series to barre and pilates classes. Unlike My Yoga Works or YogaGlo where the classes are filmed in the same location, YogaVibes classes are filmed in yoga studios around the country. If you want to shake up your yoga practice, YogaVibes is the only yoga subscription service that offers barre and pilates classes instead of just yoga. Learn better alignment, open your hips, or go deeper into your asana practice with a variety of goal-oriented courses. Get the unique opportunity to practice with the industry's best teachers with YogaGlo. You will find accessibility with Kathryn Budig, grounding with Elena Brower, and anatomy lessons with Tiffany Cruikshank. Delve deeper into your practice with the company's Beyond the Mat classes taught by scholars of philosophy, history, mythology, and lifestyle. For a well-rounded practice that isn't just about asana, I cannot recommend YogaGlo enough. If you tend to focus more on physical asana, your dashboard will gently remind you to add some heart and mind classes for a complete practice. A handy Apple and Android app allows you to take your yoga on the go even if you don't have internet access. Stick to your practice while traveling, camping, or to your favorite secluded spot. Classes are accessible for people of all ages, shapes, fitness levels, and injuries. YogaWorks has an incredible reputation for turning out some of yoga's best and brightest teachers. While the teachers on MyYogaWorks might not be yoga's most famous, they lead classes that are rich in alignment cues, important anatomy information, and challenging poses. I enjoyed MyYogaWorks, but I don't see myself keeping the subscription because there aren't many choices in styles of yoga. If a few of their classes aren't a good fit, then it's likely the entire site won't be a good fit. For variety, I think Grokker.com is more versatile in terms of trying different styles of yoga and is clearly my favorite right now, so it really comes down to how much diversity you want in your practice. Click here to explore MyYogaWorks. It could be an excellent fit for you! Gaia TV Review – Is it Really the Best Online Yoga Service Out There? Beware!! 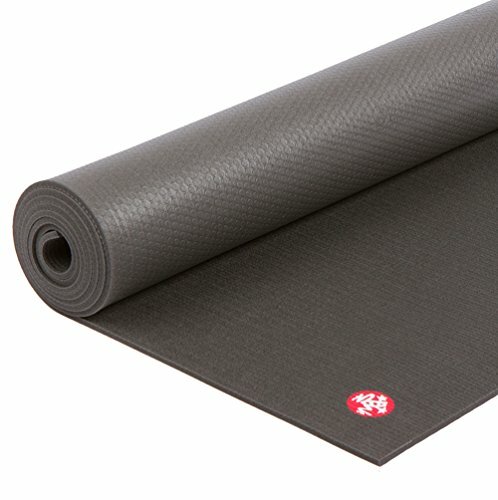 I purchased a groupon for the Myyogaworks site and it is a scam!! Not only did the groupon not work, but they also charged my credit card an additional $80. On top of that they appear to have no customer service. I have emailed 4 times with no response. The phone always goes to voicemail and the mailbox is full. The website is very confusing and set up to get your money real quick. Hey Ashley, so sorry to hear that! We didn’t have any problems with MyYogaWorks but it is definitively not one of our favorites. Although I can’t help you this issue I could maybe make a recommendation. Grokker is offering a pretty good deal right now where you get a free account for January and you can cancel any time (I tested it, it is just a click of a button on their website). Be Careful with My Yoga Works! Huge delays in response to my emails and I could NOT get a refund when requested within a month of signing up for an annual membership. I much prefer Yoga Anytime. I find myyogaworks sterile and not creative. I agree with Ashley! Yoga works online is a total scam. I cannot find a phone number for customer service anywhere online, and they haven’t responded to my emails for the bogus subscription and monthly charges on my credit card even though I haven’t used their online service once. I don’t think I’ll be able to trust their online platform ever again. They have a terrible business plan!